A no-fuss dinner for your day off! 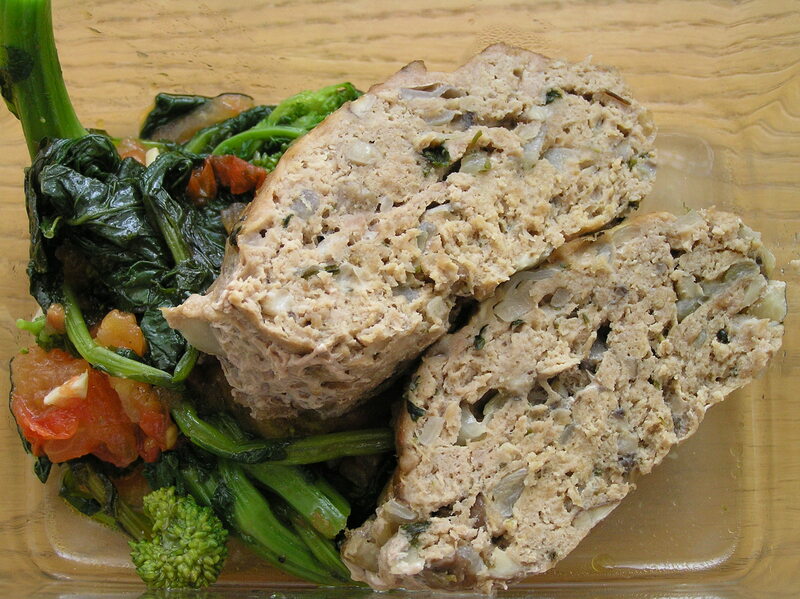 Tasty meatloaf that you can prepare ahead of time. Leftovers make great meatloaf sandwiches. Melt butter in skillet. Add onions, garlic, mushrooms, basil, thyme and oregano. Cook for 10 minutes or until browned. Let cool. In medium bowl, add ground turkey and cooled onion mixture. Mix until blended. Place in lightly greased loaf pan. Bake at 350º F for 1 hour or until internal temperature reaches 180 degrees.